Full front cover customization. Full bleeds okay. Custom full color inside & outside cover(s); standard memo-grid, basic setup, PDF proof and Free Ground Shipping (US48; 1-Commercial Location). Custom photo calendar with basic setup & PDF proof included! 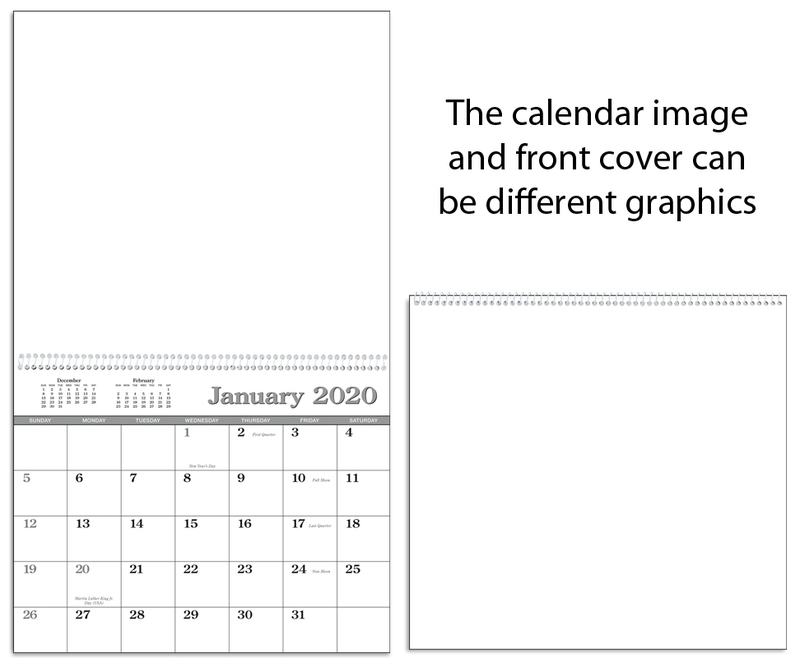 This popular custom single image calendar is based off a spiraled 12-month appointment calendar. use your own photos for the cover and inside cover that is on display all year. 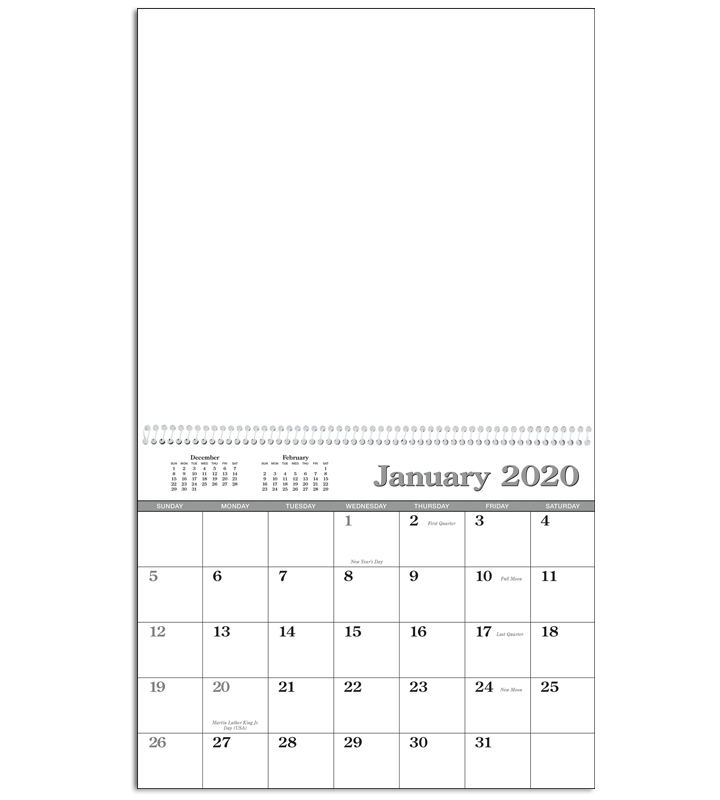 Features a stock memo-style date grid pulled from inventory. Low quantities perfect for smaller advertisers on a budget. 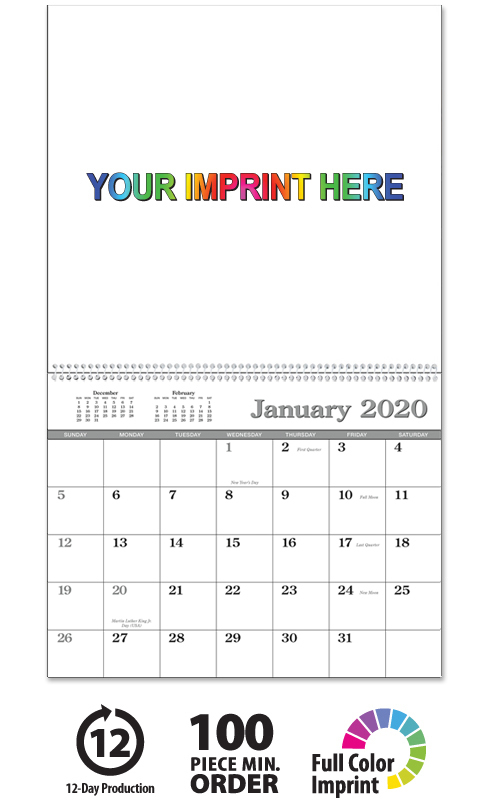 This high-quality custom single image spiral bound calendar will proudly display your message for the entire year!